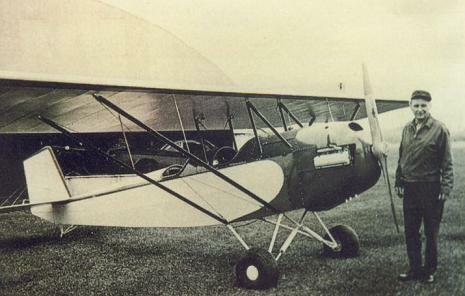 Bernard Pietenpol is recognized as an aviation pioneer in home-built airplanes. At his shop in Cherry Grove, MN, he built his first bi-plane in 1923 powered by a Model-T engine. The original plans appeared in Modern Mechanics in 1932 and have been sold around the world ever since. In 1975 he was one of forty Americans named "Greats of Aviation". A mechanical genius, he even built a working television in the 1930's and received signals from an experimental station in IA, long before TVs hit the market in the 50's. Eager fliers are still building Pietenpol aircrafts today. See an original Pietenpol Aircamper at the Spring Valley Methodist Church Museum. Charlie Henderson, an inventive tool and die maker, came to Spring Valley in 1895. His inventions improved life for many.... his creative bag tiers used in grain elevators to speedily tie grain sacks with a wire tie; his silent shutter invented for the Conley Cameras helped raise the company prestige as a prominent manufacturer of cameras for the Sears Roebuck Catalog Co. in the early 1900's. He invented a "shipping tag tacker" in 1923: then the automatic stapler, creating the dies to produce them. He was a mechanical genius but a poor businessman and never received fortune or fame for his inventions. However, he was revered in the Spring Valley area as a "man who could make anything we needed!" 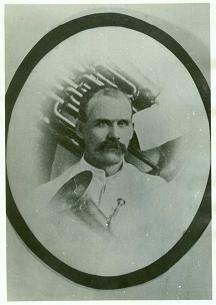 Danish Immigrant, Hans Andersen, arrived in Spring Valley in 1874, and started a contracting business and lumberyard. Advertising himself as a contractor and dealer in building materials, he designed and erected several of Spring Valley's most important buildings including the Methodist-Episcopal Church in 1876-8, the Andersen Opera House, and the first Catholic Church. Andersen moved to Hudson, WI where his sawmill/lumber business prospered and began a window frame manufacturing business, which eventually expanded to Bayport, MN and became the Andersen Window Co.
Fred and Kerry built a camera factory in Spring Valley in 1899, later moving it to Rochester, MN. They were also boyhood friends and business associates of Richard Sears, who sold their cameras thru his mail order catalogs. One of the Conley employees was Charlie Henderson, a gifted machinist and inventor who invented the "Silent Shutter", a good-selling item in the camera line. A display of the Conley Cameras can be seen at the Spring Valley Methodist Church Museum.